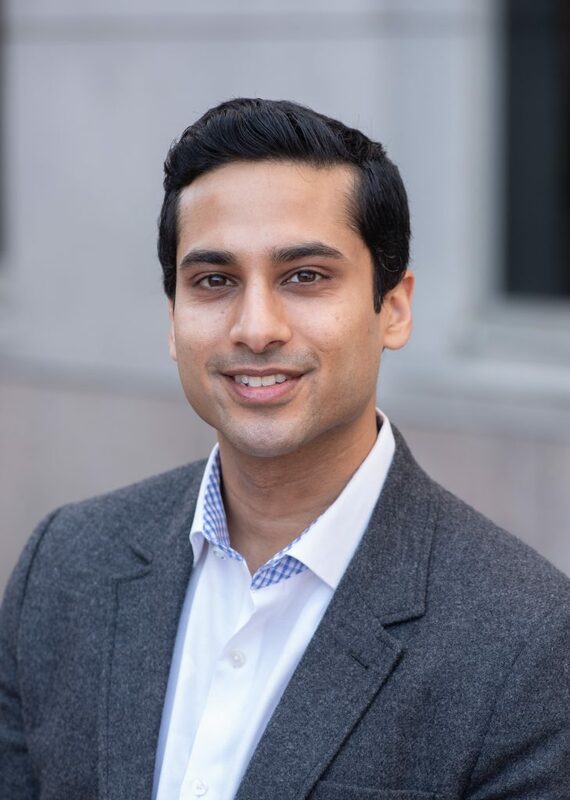 NEW YORK, NY – Fellowships at Auschwitz for the Study of Professional Ethics (FASPE) announced today that Dhruv Khullar will be named Distinguished Fellow for 2019 and receive a FASPE Award for Ethical Leadership. Khullar will be presented the award at FASPE’s annual gala and awards dinner on Monday, April 15 at CNVS in New York City. Khullar, MD, MPP, is being honored as a Distinguished Fellow by FASPE for his broad reach in bringing public awareness to key issues in medical ethics through his writing for lay publications and his policy work. Dr. Dhruv Khullar, a 2012 FASPE Medical Fellow, is being honored by FASPE with a Distinguished Fellow Award at the 2019 FASPE Annual Awards Dinner on April 15. Khullar, an assistant professor of healthcare policy and research at Weill Cornell Medicine, is a frequent contributor to The New York Times, as well as other lay and academic publications, where he explores the intersection of medicine, health policy and economics. In 2012, Khullar was a FASPE Medical Fellow. “In many respects, our Distinguished Fellow honor is the most important of our annual Ethical Leadership Awards,” said David Goldman, Founder and Chair of FASPE, which runs innovative fellowship programs that challenge graduate students and early-career professionals in business, journalism, law, medicine and religion to confront their ethical responsibilities. Khullar, who holds a medical degree from the Yale School of Medicine and a master’s degree in public policy from the Harvard Kennedy School, recently worked in the ABC News Medical Unit, helping to communicate evolving health stories, and was previously at the White House Office of Management and Budget (O.M.B. ), focusing on Affordable Care Act implementation. In addition to The New York Times, Khullar has written for publications such as The Washington Post, The Wall Street Journal, USA Today, The Atlantic, Slate, Health Affairs, the New England Journal of Medicine, the Journal of the American Medical Association (JAMA). He currently serves as a Senior Research Fellow at NYC Health + Hospitals, and as Director of Policy Dissemination at the Physicians Foundation Center for Physician Practice and Leadership. “FASPE was such a powerful experience and one that I have thought about frequently over the years,” said Khullar. “Those relationships, lessons and insights have only grown stronger and more relevant with time. It is an honor to be recognized by an organization that has given me, and many others, so much. I am deeply grateful.” FASPE is presenting Awards for Ethical Leadership to two other honorees at its gala. The global consulting and professional services firm Accenture is this year’s Corporate Honoree. Accenture is being recognized for its leadership in applying ethical principles to the development and use of artificial intelligence and other innovative 21st-century technologies. The Posthumous Honoree will be Fritz Bauer, the late judge and prosecutor who prosecuted Nazi officials following World War II in German courts, despite active opposition from his superiors.